Hard work, passion, integrity, doing what’s right for the animal..that is how you farm. Why not work with a company that takes that same approach to product formulation? 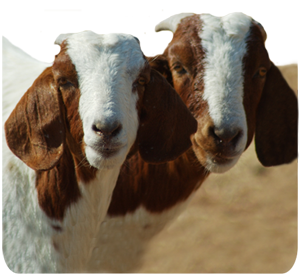 Crystal Creek® offers a premium line of small ruminant minerals. We offer a sheep mineral as well as a separate goat mineral to adequately address the nutritional requirements of each species. Each product is formulated with high quality ingredients and is designed to meet the unique nutritional requirements of each species. In addition to high quality minerals, we offer a number of oral and topical products for sheep and goats. Be sure to check out our line of udder care products for dairy sheep and goat herds.